commitment to sustainability in the events industry. 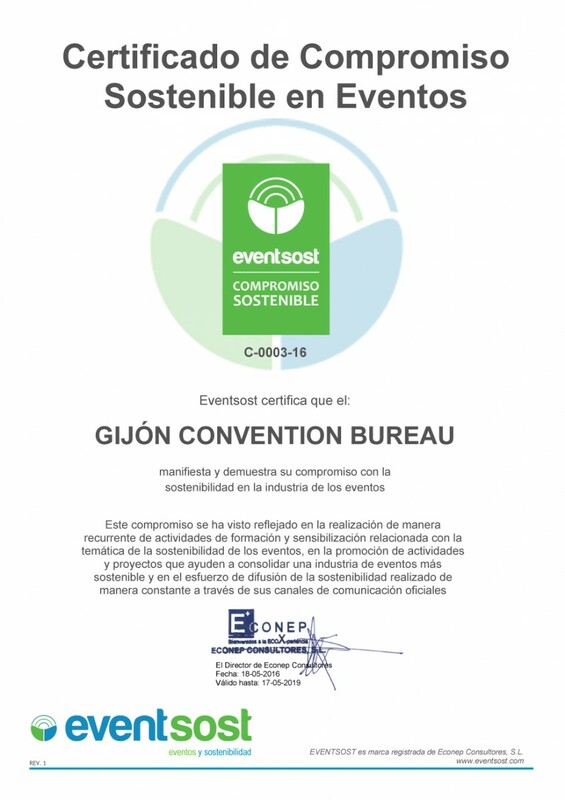 The Sustainable Commitment Certification, obtained in 2016, recognises the work carried out by Gijón Convention Bureau to promote sustainability in its field of action. It was obtained after showing commitment to sustainability in the field of events and in the promotion of more sustainable events. It is the first Convention Bureau to obtain this certificate. Consult our Sustainable Commitment certificate here.